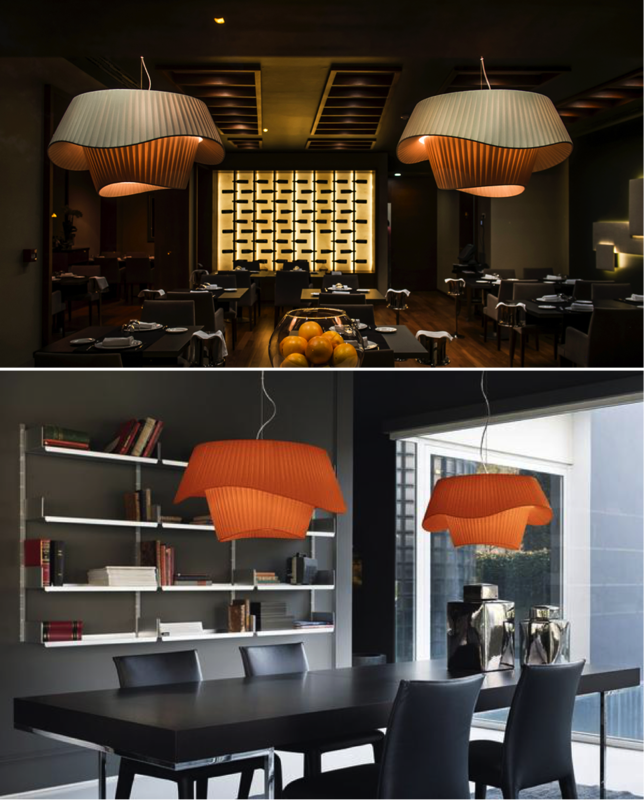 From the brilliant minds of Italian craftsmen and designers, comes a collection of lighting with exemplary design. Having been specified in countries all over the world, this collection is instilled with a uniqueness that comes by only through the vivid exploration and fusion, of different materials and styles. Combining hand-blown glass with plastic, or traditional plisse fabric with contemporary design forms – its identity lies in the ability to channel purecreative energy into new and unchartered ground. 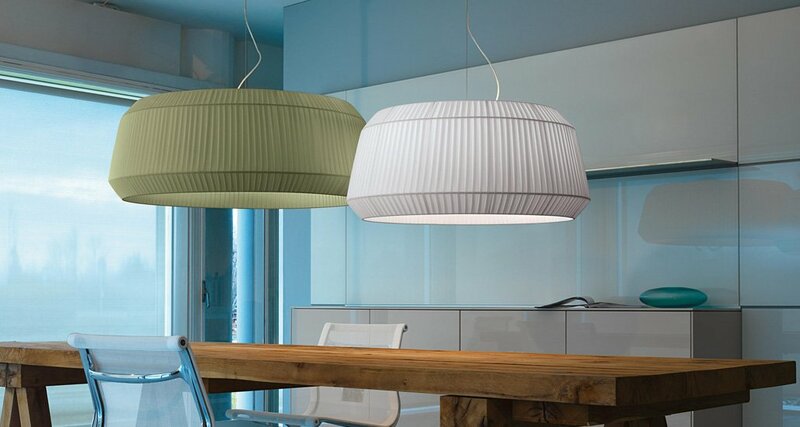 A static swirl, the Coco pendant is double layered and daring in its design. The hand-made plissè finish only adds to the illusion of a wind-kissed effect whilst indoors. The entire range of plissè fabric comes in multiple colour options; this enables it to blend in comfortably no matter where you might place it. 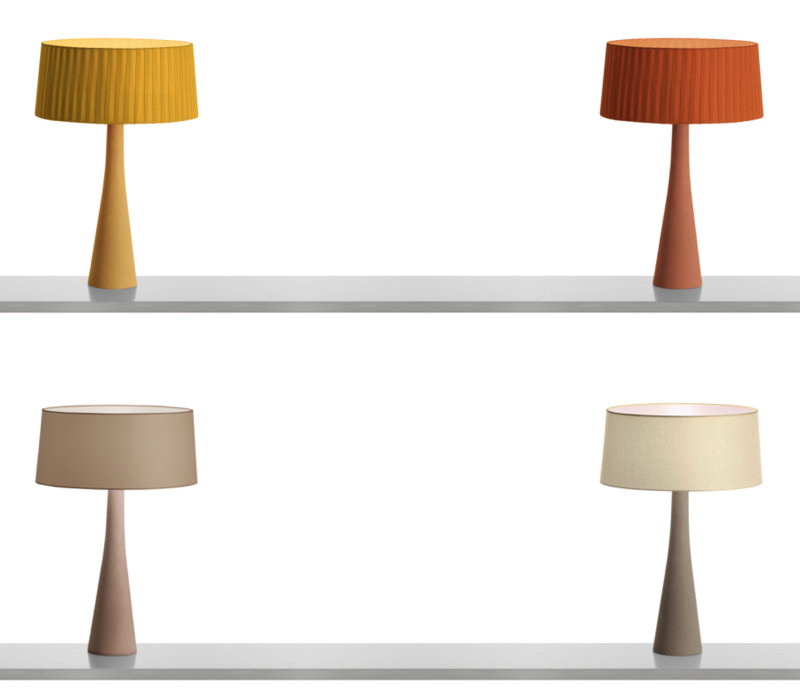 Add an Aura of sophistication to your interiors with this unassumingly lovely lamp. A culmination of contemporary lines with a classic pleated design; this range also comes with a plain, cotton finish. A casual blend of traditional and modern, it works beautifullyas a whole. Florinda groups together a circle of three, six or twelve lamp shades,infusing the room with theatrical flair and a vibrant aura. Available in numerous colours, we think the Florinda looks especially romantic in a bright shade of red. A feast for the eyes, the Campanonerange simply exudes a friendly glow wherever you choose to place it. Perfect as outdoor mood lighting, it comes in a range of soft, ambient colours – White, orange, lime green, petrol green, deep grey, and red. One of our absolute favourites, the Borsalina is available as an indoor and an outdoor light.It is a portable, compact lamp design, with a rechargeable battery pack. Choose from three gorgeous colours, and prepare to hold your breath as its entire body comes aglow to illuminate your space. 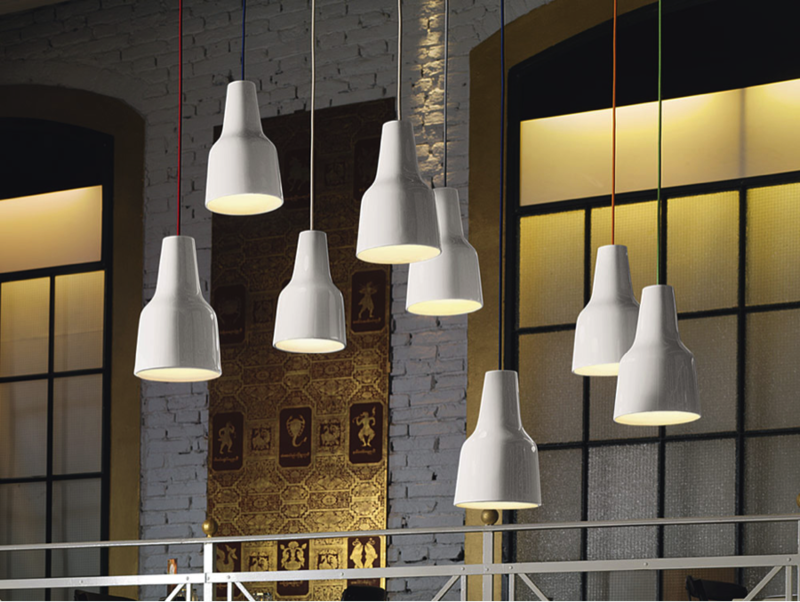 Mimicking the curves and planes of an upturned wineglass, the ABC is ideal to group in a cluster of varied sizes and colours. For a more sophisticated look, you could choose to go simple with a classic white cluster! A modern fusion of metal with shatter-resistant acrylic glass, the Orb pendant is a classy option, ideal for bars and restaurants. Its design fuses an industrial vibe alongside a contemporary feel. Hang as individual pieces or in a cluster chandelier – you are free to pick from a black, white, copper, brass, or chrome finish! A narrative in minimalism, the Eva is at once, both hardy and sophisticated. Available in sleek, glossy white and terracotta brown, the colourful options in the suspension cord only add a sense of flair to the whole design. Incorporating all these products and more, Fabiia is thrilled to announce that we will be introducing this brand new range into our eclectic collection of lighting. If you, like us, have fallen for these gorgeous products, give us a call or browse our website to learn more! This entry was posted in Fabiia News, Lighting, Style and tagged Decorative Light, Italian Lighting, Modern Light, Restaurant Lighting.